In almost every closet or basement there is a box of old vintage photographs from years ago taken with film that document family history, birthdays, wedding and genealogy through photographs. Many photos are stored in albums, some in shoe boxes, many are yellowing with age and the images are slowly disappearing. The challenge is how to preserve and archive these photographs for future generations. Your photos don’t have to disappear and fade away. Stop the deterioration now before it’s too late. 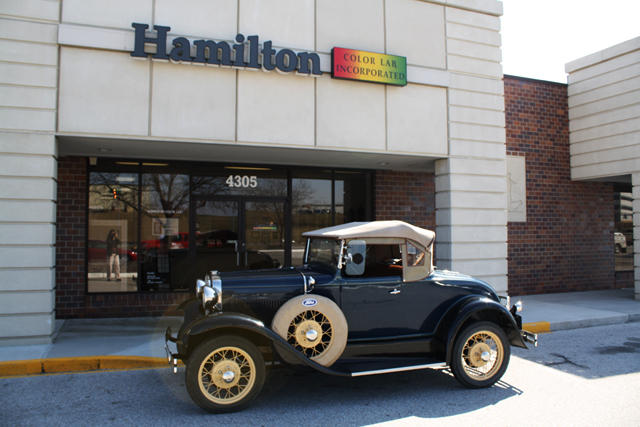 At Hamilton Color Lab we are experts and pros at digitizing photographs. We take the process a few steps further than a home flat bed scanner or a “one-hour” photo lab where quality can be less than desired. 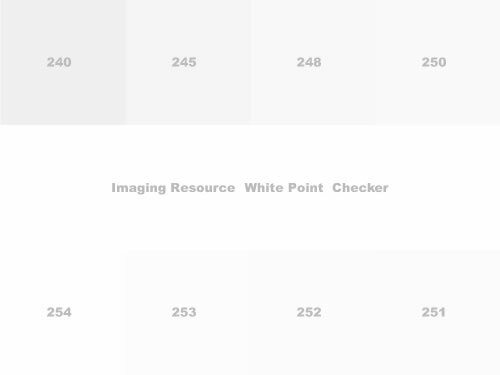 Although technology has improved over the year home scanners still have their limitations, especially when reading density and shading gradients in the blacks and whites. This becomes important in photos where detail is important. For example detail on a wedding dress, or black pants disappear with over-the-counter consumer scanners. Self service consumer scanners found in department stores and chain pharmacies are even worse. We have seen the results of many disappointed customer who bring in digital files with poor color, scanner noise, low resolution and the ability to only print small sizes. However with our state of the art scanning process, detail is preserved. 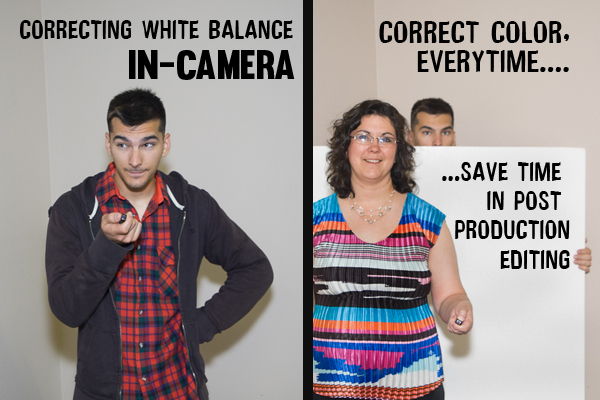 Our scanners are calibrated for color, contrast and just the right amount of sharpness to fool your aunt that the copy isn’t the original. You’ve heard the saying “Is it live, or is it Memorex?” Well, a Hamilton photo scan is so close to the original you might have a hard time telling the two apart. So bring in your 4×6, 3.5×5, photos, and even your larger prints up to 8×10 in size. All we ask is they are sorted by size and facing in the same direction. Mention this article for a 10% discount on our already low prices. We recommend to back up your photo files onto your computer or other storage device and place the original discs in a secure safe place away from heat and humidity. With the backed up digitized photos you can them either create slide shows, photo books, or any myriad of photo editing and digital scrap booking projects. We answer our own phones, care about our customers, and love bacon (did I say that?) Yes, we can be bribed with bacon or chocolate. We accept not only local orders but you can upload digital prints to our website, or send us your (very carefully packaged) photos for scanning. 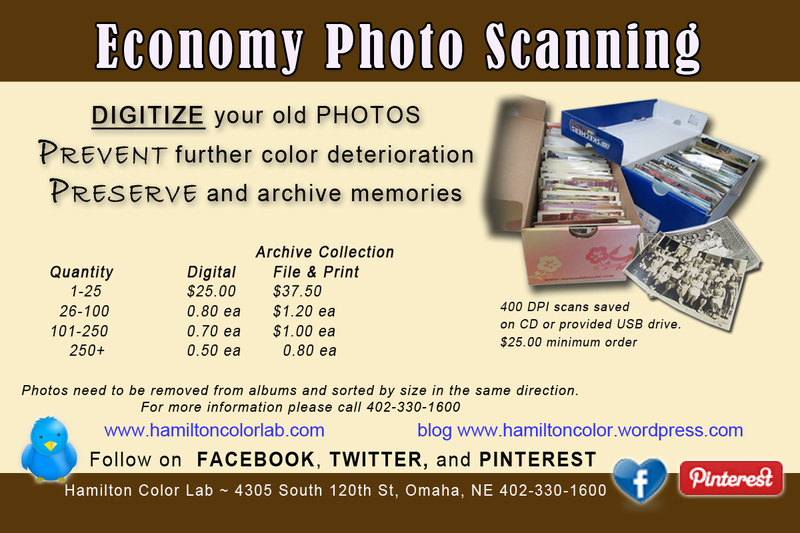 Categories: Photo Restoration | Tags: Archive, family history, genealogy, Omaha Nebraska, photo archiving, photo printing, photo restoration, photo scanning, Photography | Permalink. High school graduation season is upon us and seniors are looking for fresh designs to showcase their announcements. Hot off our Photoshop desk is a classy black and white design 4×8 photo card design which will compliment any color photography. As a gift to you we are offering this free Photoshop template as one of several we will be offering throughout the year. Not only thanking our customers, but to inspire your imagination, creativity and design. The above template will work with Photoshop CS2 and layers are customizable for color and text. Font names and links are provided, or you can use your own font from your library. 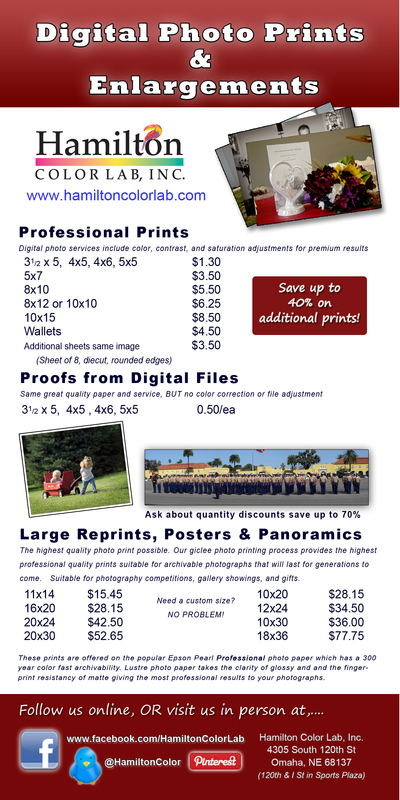 Looking for a place to print your senior announcements? Just upload your finished JPG or TIFF file to Hamilton Color Lab for professional photo printing of your announcements on professional Lustre paper. Your senior announcements will stand out from the crowd and make you shine. We will be more than happy to ship your invitation order, or you can pick them up at our Omaha Nebraska location at 4305 South 120th St. Check out our Facebook album for more graduation announcement styles and custom designs. 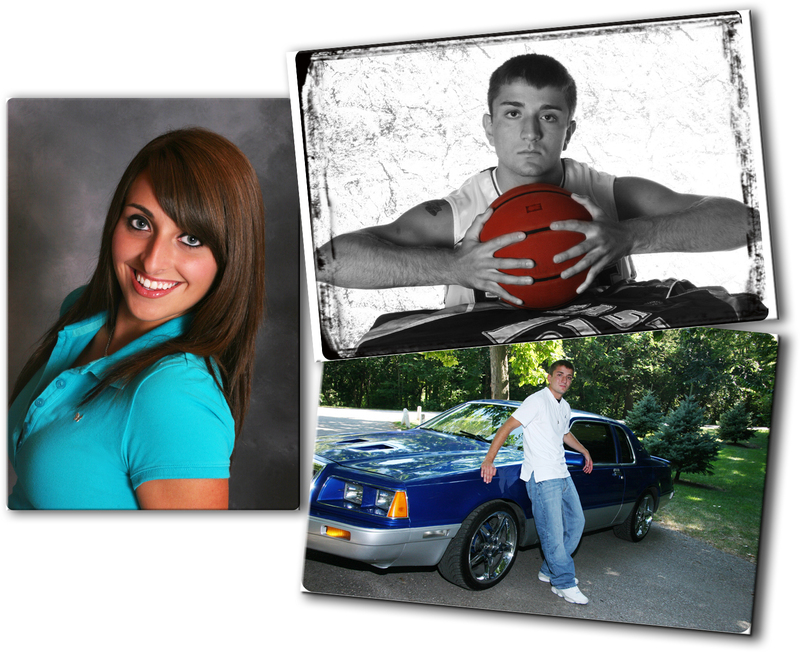 Categories: Free Template, Senior Pictures | Tags: Adobe Photoshop, Adobe Systems, design, design template, Free, graduation, graduation announcement, graduation party, graduation season, high school, high school graduation, nebraska, omaha, Omaha Nebraska, photo printing, Photography, photoshop, Photoshop CS2, senior | Permalink.